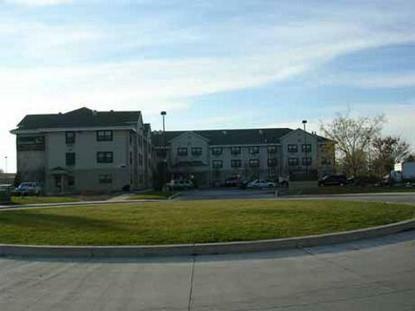 Extended Stay America Salt Lake City-West Valley Center is designed specifically for people who need more than just a room while away from home. In addition to the comfortable recliner and large work desk, the oversized studio suites feature a kitchen that allows you to prepare meals at your convenience. As a guest of Extended Stay America, you receive complementary movie channels, free local phone calls, voice-mail, and a two-line phone with a computer dataport. Guests also have access to a 24-hour, coin-operated laundry facility. Weekly housekeeping ensures that you have fresh linens throughout your stay.Pet policy- only one pet allowed in room. A 25.00 USD per day non-refundable cleaning fee- not to exceed 75.00 USD per stay - will be charged the first night of your stay.HOUSEKEEPING POLICY -EXTENDED STAY HOTELS IS COMMITTED TOENSURING A CLEAN ROOM AT A REASONABLE RATE.SERVICES ARE SCHEDULED BASEDUPON THE NUMBER OF NIGHTS RESERVED..1-6 NIGHT STAYS - TOWEL EXCHANGE AVAILABLE AT THE FRONT DESK7+ NIGHT STAYS - ONE FULL SERVICE PROVIDE EACH 7 DAYS.FULL SERVICE -DUSTING, VACUUMING, CHANGING LINENS AND TERRYEMPTYING TRASH AND CLEANING OF BATHROOM AND KITCHEN**DISHES ARE NOT WASHED**REPLENISHING SOAP AND TOILET PAPER IF NEEDEDADDITIONAL FULL SERVICE CAN BE PURCHASED AT 10USD PER SERVICE.REFRESH SERVICE -REPLACING TERRY AND EMPTYING TRASHREPLENSHING SOAP AND TOILET PAPER IF NEEDEDMAKING BED WITH EXISTING LINENSREFRESH SERVICE MAY BE PURCHASED AT 5 USD PER SERVICE..VISIT THE FRONT DESK FOR ADDITIONAL LINEN, TOWELS,SOAP, OR TOILET PAPER BETWEEN SERVICES.